“Today’s announcement of the government’s 25 year environment plan simply puts a sticking plaster on what is a much larger, long-term issue. The government has allowed the media and production companies to lead the green agenda, today crediting both the Daily Mail and Blue Planet for highlighting our environmental issues. The government needs to take a real hold of this. 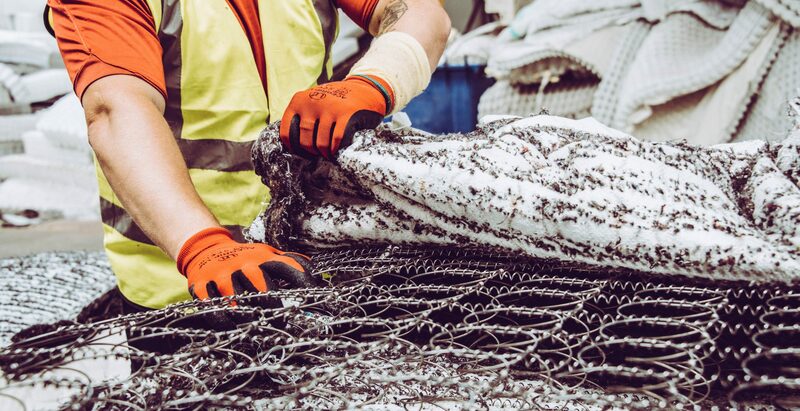 They need to go much further, targeting additional areas of waste and tackling the problem at the source by placing more onus on manufacturers to consider recycling at design stages. Developing more producer responsibility schemes, which will see accountability formalised, would represent a huge step towards the circular economy. “Whereas May’s pledge to reduce plastic waste is a welcomed step in the right direction, it’s merely the tip of the iceberg in terms of tackling the very real issue of non-biodegradable waste that blights the U.K.
“If the government sought input directly from people at the coalface of the waste industry, who are tackling these issues daily, then maybe the environmental proposal would be sensible, achievable and also have the backing of industry. There’s an incredible amount of knowledge and expertise in this sector and I know that myself and my colleagues/peers would welcome the government utilising our resources to help tackle this very real issue. “Furniture is a huge recycling problem that is currently underestimated. Due to the rise of flat pack furniture and the current ‘throw away culture’, people are sending more and more furniture to landfill with very little being done to recycle these products. But our landfill sites are limited. “As Mary Creagh, former Shadow Secretary of State for Environment, Food and Rural Affairs highlighted on Sky News, mattresses pose a specific problem. Over seven million mattresses go to landfill each year in the UK, that is enough to fill Wembley Stadium five times over! UK mattress manufacture generates 440,000t C02e in greenhouse gas emissions each year. 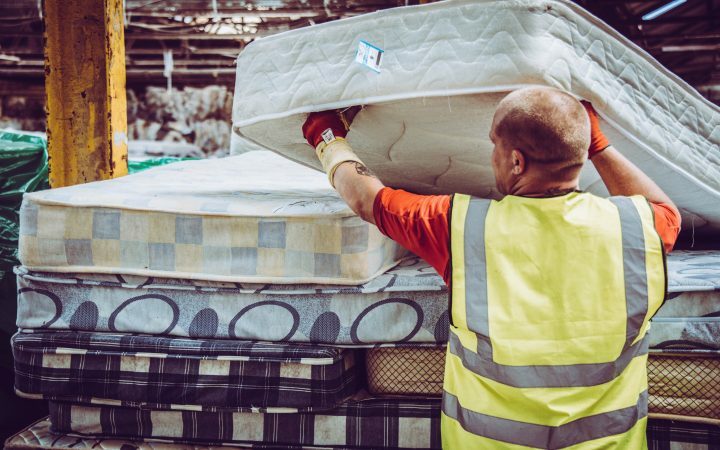 If 50% of mattresses were made up of recycled material C02 emissions would be reduced by 34% and 85,000 tonnes of raw materials would be saved. 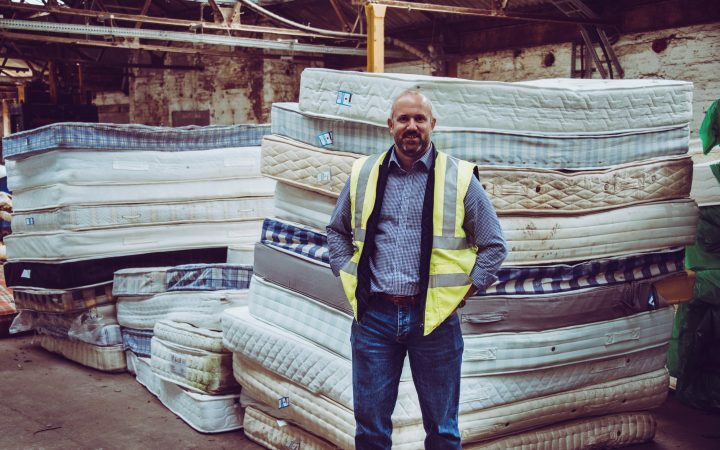 “At TFR Group we have recycled over one million mattresses and we have plans in place to significantly increase this over the next two years. However, to achieve our aim of diverting all mattresses away from landfill we need more support from the Government and I would welcome the opportunity to sit down with Theresa May or Michael Gove to discuss the real problems around mattress recycling. 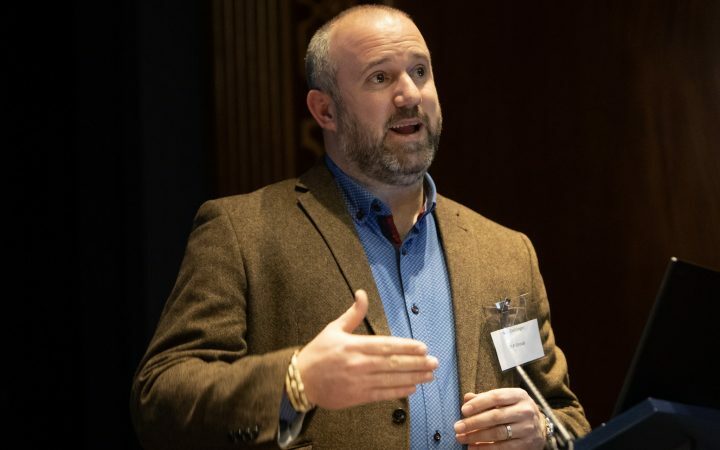 “The government needs to implement legally enforceable producer responsibility schemes not just for plastic bags but for all areas of waste. This recycling levy on all products that are not biodegradable would pay for the responsible recycling of the goods at the end of their useful life. It would also make manufacturers far more likely to consider recycling when they develop new products. “Although this will impact the initial cost of goods by driving them upwards, from a waste strategy perspective, making items more expensive will undoubtedly see consumers less likely to throw away or update items as often as they do now, which can only be a positive result. “It is disappointing that the announcements today only extended current initiative on plastic bags. The government has missed a major opportunity to make tangible steps towards a circular economy that would, in time help ensure that products thrown away are able to be reused or recycled in a cost-effective manner, which does not include landfill or energy from waste as an option.